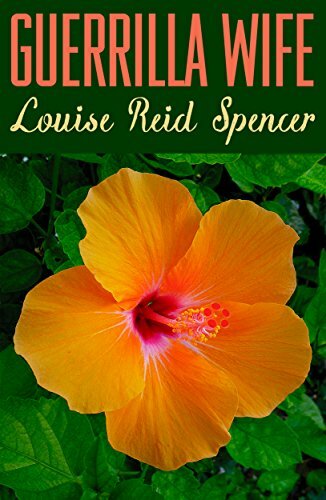 Guerrilla Wife, first published in 1946, is Louise Spencer’s account of her experiences in the mountains and jungles of the Philippines during the World War II. Spencer, along with her husband were living on Masbate at the time of the Japanese bombings of Pearl Harbor and the Philippines. Rather than surrender and face imprisonment, the Spencers and several other families (including Claude Fertig, brother of Wendell Fertig who led guerrilla forces on the island of Mindanao) banded together and fled to the jungle-covered mountains of Masbate, and then crossed the sea in a small boat to Panay. Guerrilla Wife details their struggle to survive, their friendship with missionaries and Filipino guerrillas, her giving birth to a daughter, and finally their escape by submarine to Australia. This is one of my favorite books of all time. Guerrilla Wife gives a different perspective on World War II. This story is a personal experience of a woman, her husband, and her friends as they survived the Japanese take over of the Philippians. This is a great story that has an interesting personal story. The book shows the reality of day to day life that we do not normally consider. I highly recommend this book because of the view it takes on World War II and the surrounding events.